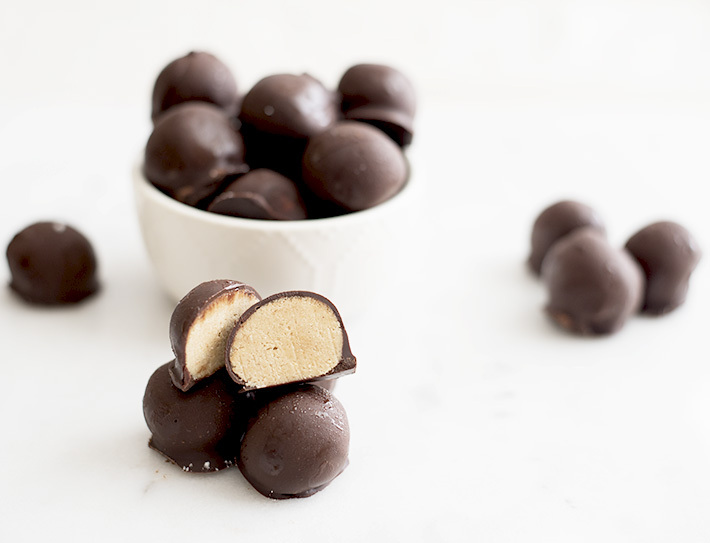 Forget the Reese's Christmas tree peanut butter cups! Seriously. 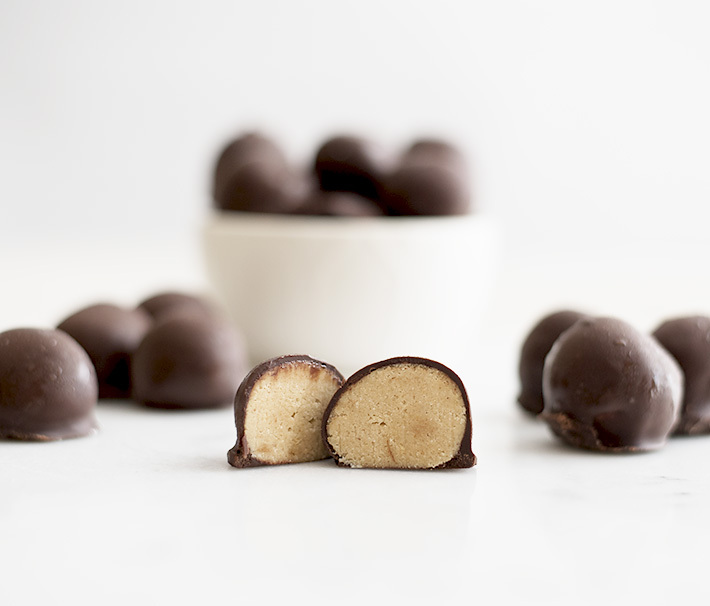 After seeing how easy it is to make these and tasting how delicious they are, you really can't beat these truffles. The traditional Christmas tree peanut butter candy has 170 calories, 18g carbs, 16g sugar, and 10g fat! Yikes! 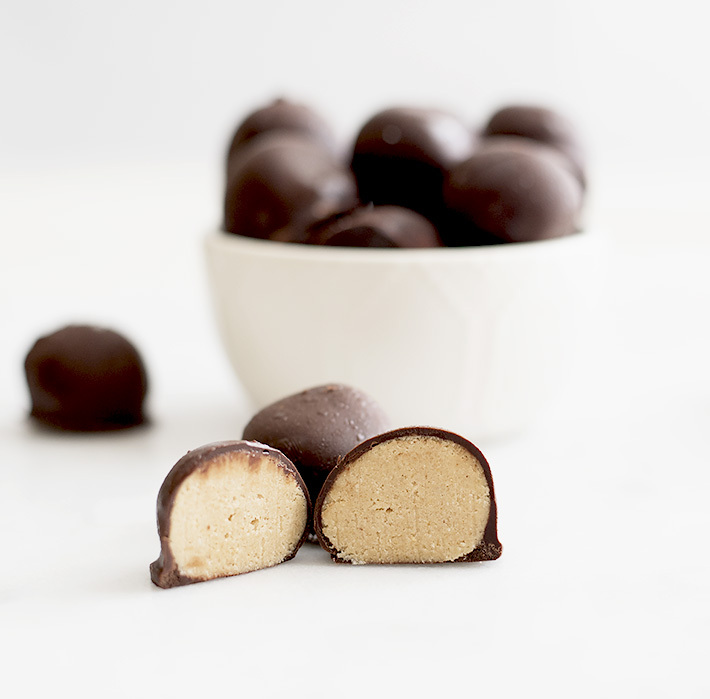 These little gems have only 72 calories, 3g net carbs, 2.1g sugar, and 4.5 g fat. Plus, this recipe makes 22 of them - so many to share (or....save for later). 1. In a mixing bowl, whisk together coconut oil, peanut butter, honey and almond milk until smooth. 2. Add in the protein powder, peanut powder, and coconut flour. Stir to combined. 3. Place the dough in the fridge for at least 1 hour. 4. Remove from fridge and, using your hands, roll about 1 tablespoon of dough into a ball. Repeat this step until 22 truffles are made. 5. 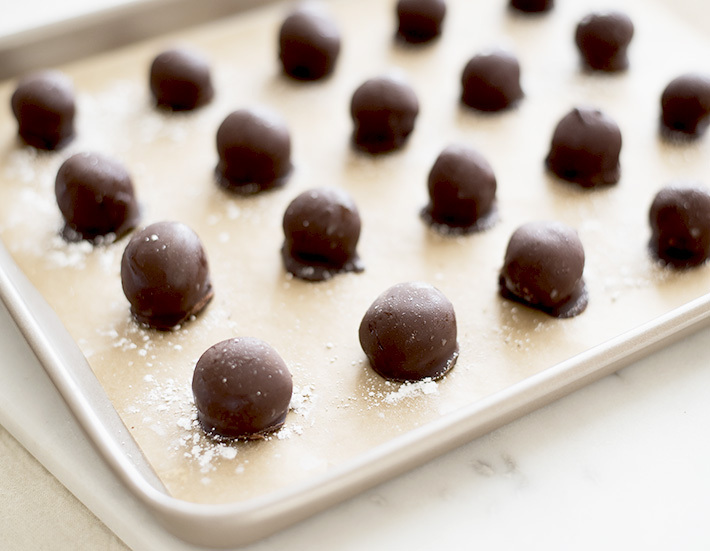 Place each truffle on a sheet pan lined with parchment paper and place in the freezer for at least 10 minutes. 6. Place the chocolate chips in a microwave-safe bowl. Heat chocolate up in 30-second intervals, stirring after each time, until completely melted. 7. 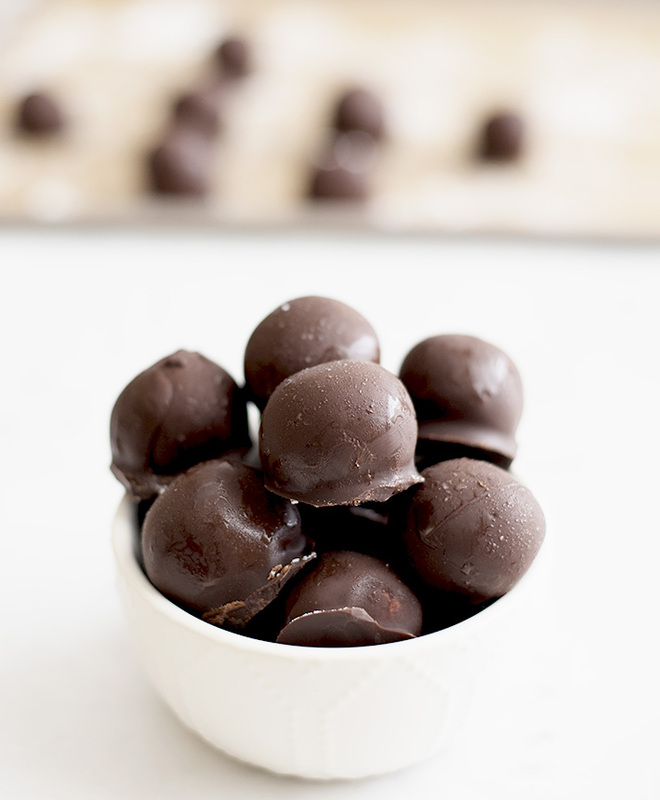 Coat each truffle with melted chocolate and place back on sheet pat. 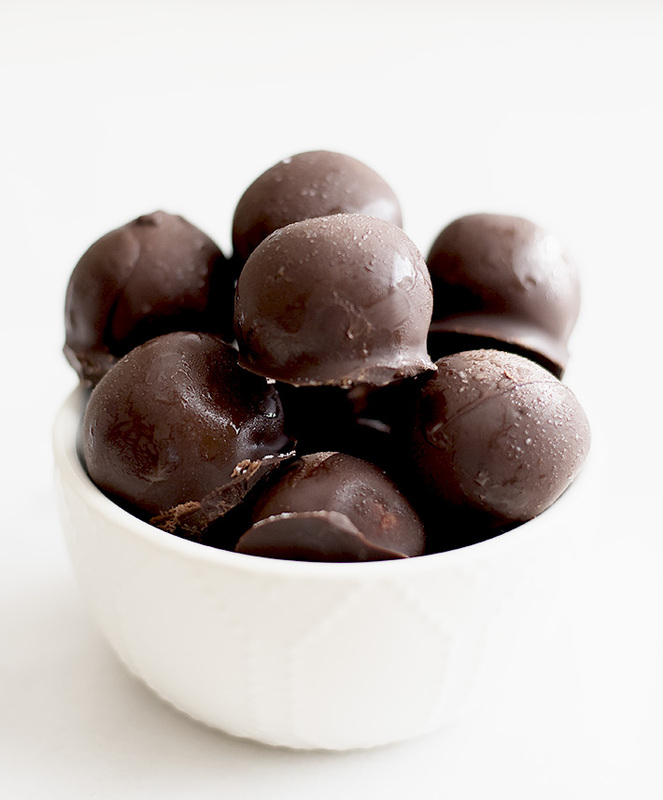 Once finished, place truffles in the fridge until chocolate hardens then enjoy!